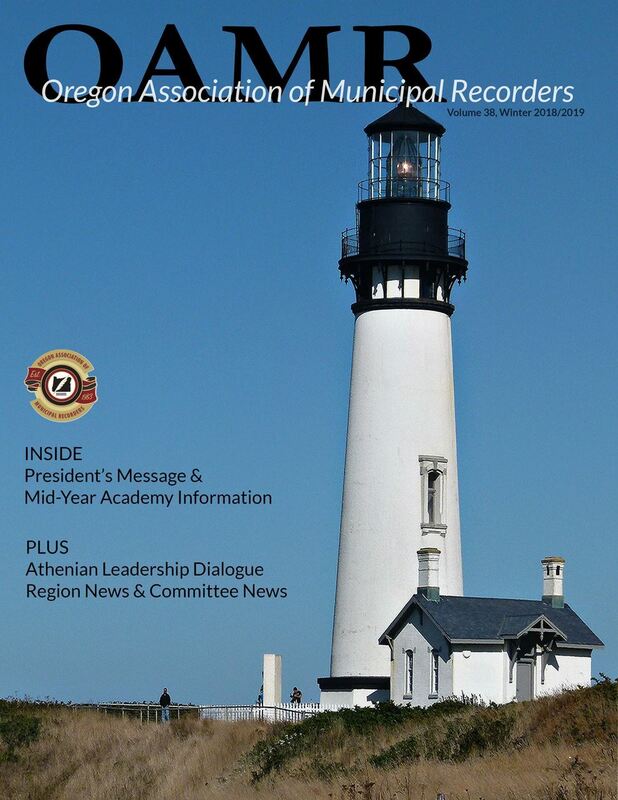 Welcome to the Oregon Association of Municipal Recorders’ (OAMR) website! Our Mission is “to enhance the quality of our office and to encourage dedication to our profession, by providing educational experiences of the highest quality, as well as promote the professionalism of the office of municipal recorder”. Our goals include providing numerous opportunities for professional development and education. We provide programs and activities that assist our members with the welfare and positive advancement of municipal government. We provide opportunities for networking, leadership, and communication, training and professional growth. Please take some time to explore our website. You will find information on upcoming meetings; scholarship opportunities; training sessions, newsletters; and many other resources. Becoming a member gives you access to our listserv, allowing you to participate in discussions and gather valuable information that relates to your job. Our mentoring programs will pair you with one of our many experienced members, to help anytime you have questions. OAMR was established in 1983 and currently has 227 active members throughout the state of Oregon. 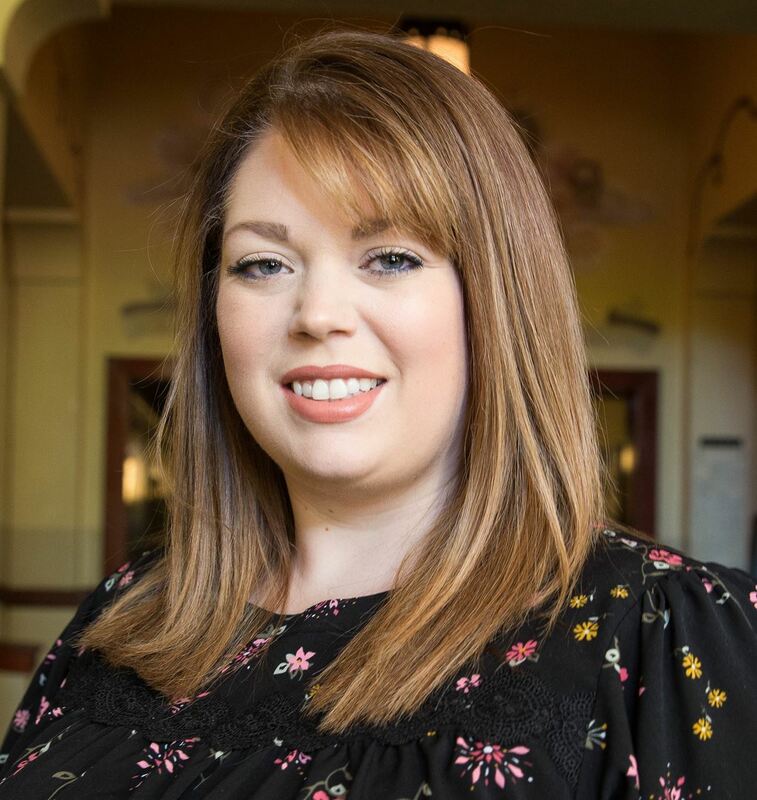 Of these 85 have attained their Certified Municipal Clerk (CMC) designation, and an additional 41 have achieved the prestigious title of Master Municipal Clerk (MMC). Our members also attend specialized professional development classes at the Northwest Clerks Institute in Washington. On behalf of the OAMR Board I encourage you to take advantage of all the opportunities available to members of OAMR. Join a committee, be involved in the organization and take advantage of all the benefits of your OAMR membership. My sincere wishes for an amazing year! Our scholarships go to help City Recorder's attain the education they need to continue to grow in their profession. Here is how you can help! Enroll in Fred Meyer's Community Rewards program! - Link your Fred Meyer Rewards Card online and search for the 'Oregon Association of Municipal Recorders' or non-profit number WA320. If just 25 families sign up we could earn $800 this year alone! AmazonSmile is a simple and automatic way for you to support OAMR. Amazon will donate 0.5% of the price of your eligible AmazonSmile purchases back to OAMR when you use this link: https://smile.amazon.com/ch/93-0856787. For more information about OAMR fundraising opportunities, visit our fundraising page. The OAMR member-only email Listserv is a great way to solicit the advice of your peers, benefit from their experience and participate in an ongoing conversation on topics relevant to the field. Post questions and information to members on the ListServ by sending an email to oamr@oamr.org. If you don't know your password, email Internet Committee Chair. Welcome to the OAMR website! We hope you will enjoy the many resources you will find here. To ensure that you are able to enjoy all the benefits of your OAMR Membership on the website, please log in above. 01 Jan 2020	• Your name tag will be mailed to you. Ignore date. To ensure that you are able to enjoy all the benefits of your OAMR Membership on the website, please log in above.